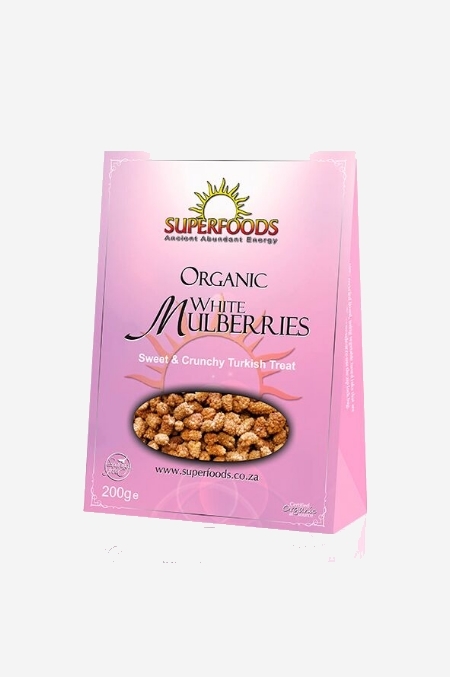 Mulberries are both sweet and nutritious. They are high in vitamin C, iron, calcium, and protein, and are an excellent source of dietary fibre. Mulberries are both sweet and nutritious. They are high in vitamin C, iron, calcium, and protein, and are an excellent source of dietary fibre. Dried mulberries are somewhat crunchy, like figs. They can be eaten as is, providing a refreshing alternative to raisins or other dried berries, or used to make a mulberry candy (grind them in the blender, mix in nut butter, and sweeten to taste). They are especially delicious in yogurt or with granola.